Savage Gear 3D Rad Rat Lure Color: Black Orange Size: 11 3/4" Weight: 2 1/2 oz Floating. Hunting & Tactical. Rebel Pop-R 1/4 oz Fishing Lure. Shin Guards. Lure Length: 2 1/2". Survival & Safety Gear. Punch Mitts, Thai Pads & Shields. Species: Bass. Safety & Reflective Gear. The Heddon family of Spook baits has been a topwater favorite for generations of bass anglers. They are easy to walk and are proven fish catchers. Everyone should have at least one Heddon Super Spook Jr. bait in their tackle selection. Savage Gear 3D PVC Mayfly 50 Drop Shot Lure 1.5 Inch CHOOSE YOUR COLOR! Savage Gear 3D Hollow Belly Duckling Lure Color: Ugly Duckling Size: 4" Weight: 1 1/2 oz Floating. Savage Gear 3D Hollow Belly Duckling Lure Color: Mallard Size: 4" Weight: 1 1/2 oz Floating. Savage Gear 3D Hollow Belly Duckling Lure Color: Baby Black Bird Size: 3" Weight: 3/4 oz Floating. Savage Gear 3D Hollow Belly Duckling Lure Color: Ugly Duckling Size: 3" Weight: 3/4 oz Floating. Savage Gear 3D Hollow Belly Duckling Lure Color: Fruck Size: 4" Weight: 1 1/2 oz Floating. Booyah Buzz Bait 3/8 oz. Fishing Lure - Black. Fishing Lure. Hunting & Tactical. Resistance Training. High Altitude Training. Survival & Safety Gear. Safety & Reflective Gear. Weight: 60g. 13cm Surface Ducklings . Size : 13cm. ::killer Crank : Killer Crank Lures. 3 x Lure . Topwater Fishing Lures. Fishing Swimbaits. 6cm Surface Duckling . 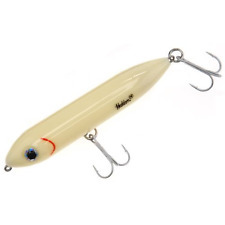 ::killer Crank : Killer Crank Lures. 3 x Lure . Size : 6cm. Topwater Fishing Lures. Fishing Swimbaits. Soft Plastic Fishing Lures. Hunting & Tactical. Species: Largemouth Bass, Smallmouth Bass, Northern Pike. Lure Length: 2 1/4". Survival & Safety Gear. Safety & Reflective Gear. Kid's Clothing & Shoes. Hooks: #1 Treble Hooks. Cranking Depth: Topwater. In addition to the PopX's gill openings that allow for water to pass through and create life-like bubbles, the PopMax also features a unique gill system that consists of six water-intakes and a water chamber.